Yes, I've committed the sin of shooting someone in the back again. 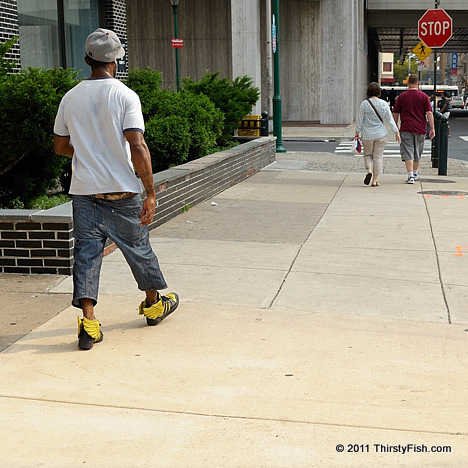 I didn't notice him until he walked speedily past me which left me with a fraction of a second to compose this shot. I love the adidas jeremy scott js wings 2.0. Is fashion a personal statement or a cultural expression, or both? One thing for certain is that it is constantly changing. In many contexts, fashion has been an expression of social status, economical status, personal beliefs and social associations. And of course, there have always been those that follow the "fashion of no fashion" principle.